In this context, the Society welcomes the opportunity to respond to the Council’s proposals for preferred options for Green Belt development. We recognise the imperative for new housing development and that this requires a positive and imaginative response. These criteria are underpinned by our conviction that the old town of Amersham is highly unusual (we believe unique in the region) in retaining a town layout and plan dating back to the 17th century and beyond, with a clear separation from modern urban development within a protective green ring. Enhancing and better revealing the heritage value and significance of the old town is of wider benefit to the community. This unique asset is not a piece of living history, but a lively and vibrant residential and commercial town, whose conservation makes a substantial contribution to the local economy. It is valued and used by people throughout the Chiltern District, with many visitors from London and the south east of England and beyond. We welcome a rigorous assessment of development opportunities that includes consideration of sites within Old Amersham. It is important though that criteria for assessing those opportunities are applied consistently and that the wider impact on infrastructure and existing assets and communities is considered. In this context we are surprised and concerned that the proposal to develop sites at Quill Hall Farm, which appeared in the earlier consultation, has now been removed. The reasons for this change are not clearly described. The sites, if fully developed could have the potential for up to 950 homes, contained between Quill Hall Lane and the railway line. If the three sites were linked, as they would have been if the Arup judgement at Stage 1 had been different, we believe there would be clear boundaries to contain urban sprawl as well as a significant opportunity to improve transport (by adding a station between Chalfont and Latimer and Chesham) and infrastructure for the benefit of the wider population of Amersham and Little Chalfont. Quill Hall Farm could provide a very substantial contribution to the Council’s target for new housing, on a contained site with limited negative impact to the town and communities of Amersham. The sites identified in the proposals for Old Amersham are much smaller than any others, being much more of the nature of windfall opportunities. Their value is 50 and 70-80 homes (combined total 120-130 homes); the next smallest single site is 200 homes. Focusing development on larger sites has the benefit of enabling infrastructure needs to be fully addressed in a systematic way as well as achieving the maximum increase in housing for the least negative impact on existing communities. Bringing such a large site as Quill Hall Farm back into consideration would help offset any possible reduction in housing numbers elsewhere. We request that reasons for the change of view on Quill Hall Farm be set out more explicitly and that further consideration be given to whether the sites could be made viable. Below we set out our comments on specific sites within the old town of Amersham. We welcome the withdrawal of this proposal. We support the assessment that this area on the western approach to the town is valuable in preventing the spread of urban development and that its removal would significantly harm the historic setting of Old Amersham. This site and Coldmoreham form an important part of the protective green ring that defines and protects the historic character and views of the town. We support the use of land at London Road west for approximately 33 homes. The site is contained by the bypass and River Misbourne. Development at this site would not affect the view of the town from surrounding viewpoints, nor would the scale of development significantly affect local traffic or other infrastructure. We oppose the development of land behind Bury Farm for approximately 17 homes. This land forms part of an area of fields cultivated since the Middle Ages and is adjacent to the historic Bury Farm. 1) Development would severely compromise the view of the town from Parsonage (Rectory) Wood as well as Station Road and other northern approaches. These viewpoints are experienced by hundreds of residents and visitors each day. The site is an integral part of the green ring around the town, separating it from the country beyond. The view along the river and including green space around Bury Farm defines the limits of the town development in its wider rural setting. While development would be contained by the bypass, the loss of green space and the impact on the view from building on this hillside location would have a significant negative impact on the character and setting of the town and historic assets. 2) Existing development at Piggotts Orchard is bounded by Gore Hill, which provides a strong boundary to urban development. Land around Bury Farm defines and protects the distinct historic character of that area, separate from the main old town. Bury End was formerly a separate community and the historic distinctiveness of the farm and its context has been retained to a significant degree, and the fields around the farm are critical to that. The fact that there is some development in line with this site on the other side of Gore Hill (Piggotts Orchard) is not an argument for further development across the road that removes what heritage value remains. It is our contention that development of land behind Bury Farm leaves no clear boundary between this site and the London Road West site. While further development is not proposed at this stage, this proposal could be a precedent for further urban sprawl. Our recommendation is that the small housing gain from this site does not justify the damaging and permanent damage to the ring of green that defines and protects the historic setting of Bury Farm and Old Amersham. We oppose development on two interlinked sites behind Whielden Street for 70-80 homes. 1) The sites are a key part of the ring of green defining and containing the old town. Because the land is on a hillside it can be seen clearly from Parsonage (Rectory) Wood and other well used viewpoints. The sites are adjacent to Whielden Street and are a prominent feature from northern viewpoints highly prominent from the north, showing the town in its rural setting as well as the historic synthesis between town and country. Building on these sites would not only mean the loss of green space, but would obscure views of trees on both sides of the bypass. This would compound the loss of the separation of the old town from the country. While we understand that at this stage the nature of amenity space is not defined, we are concerned that it would be unlikely that the network of paths and the current nature of the informal trees, grassland and wild flowers such as orchids could be retained. This would remove a major asset used by local people and visitors and reduce the attractiveness of the town for heritage visitors. Left: Looking from the land that it is proposed would be kept as amenity towards the Griffin Inn (Ask Italian) clearly visible as three while gables. This would be obscured by proposed housing. Right: Footpath gate into area that is proposed as housing development. The surprise of Gilbert Scott’s 1836 Workhouse would be obscured by buildings. 2) While the bypass can be defined as a clear boundary to urban sprawl, a critical part of the character of the town is the way that fields and open green spaces are part of the urban space, demonstrating the historic integration of town and country. Simply building up to the bypass in this area would destroy a substantial part of this heritage. 3) 70-80 dwellings on this site represents a significant growth in population. A development of this size has an impact on local infrastructure, though its size makes significant changes to address the issues caused unlikely to be afforded. Any access to the site would need to come through Whielden Street, which is congested and at busy times is a traffic bottleneck. The street is a critical access route to Amersham Hospital, and for that reason access is especially sensitive. While we anticipate that parking would be provided on the site, it is likely that there would be further pressure on parking spaces in Whielden Street and possibly the High Street. We are concerned that this would have a negative impact not only on residents but also visitors and local businesses. 4) Clarification would be welcomed on how the proposed housing development would relate to the planned ventilation shaft for HS2 nearby. 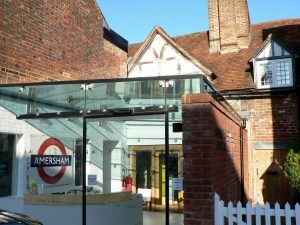 The Amersham Society is dedicated to preserving the best of the historic heritage and character of Old Amersham. Achieving this balance between conservation and development and change is critical to maintaining the vitality and attractiveness of the town for visitors and businesses, as well as of course making it an attractive place to live. We support development at the site at London Road West, which is clearly defined to contain development without detriment to the historic setting of the town or its assets. The other sites, behind Bury Farm and behind Whielden Street, both severely compromise historic assets and the views that define the setting for the town. 6) To avoid the destruction of the character and “wholeness” of the area from stagnation and decay due to neglect and indifference from despoliation due to redevelopment and other unsympathetic expedients. 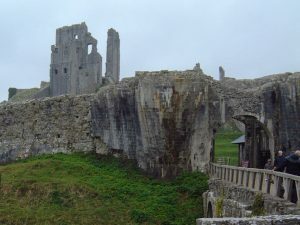 7) To protect the surroundings of the area and its inward and outward views…. 8) To ensure that where development takes place it blends in and is in sympathy with the character of the area. 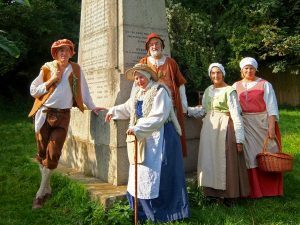 9) The old part of Amersham is a compact development of medieval and Georgian origin situated in the valley of the River Misbourne … with open country rising to the north and south containing many attractive belts of trees on the skyline. 10) The town is fortunate in having open space close at hand providing a contrast to the increasingly busy High Street. The immediate open spaces are adjoining the River Misbourne near the old corn mill and a pleasant hillside footpath from Whielden Street running along the contours of the hill to the south of High Street. The total number of potential new dwellings proposed for Old Amersham is large enough to make a substantial impact on the town, the local community and its visitors, but they are a very small contribution towards the Council’s overall housing target. Our contention is that the price for the housing gain is too high and that this is disproportionate.